The best way for you to pocket the coming year! 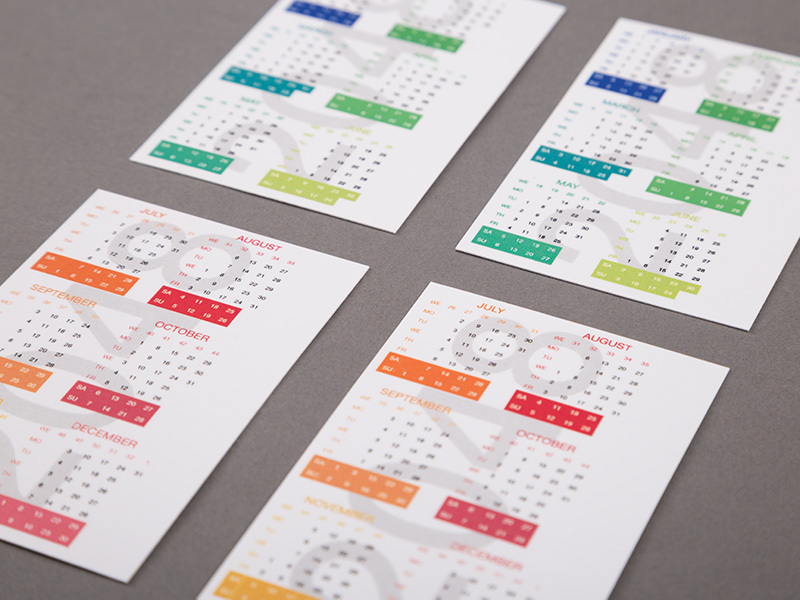 We print calendars in business-card format for you: on sturdy paper with stunningly sharp text and brilliant colours. Simply put into your pocket every 365 days in a handy business card format - no appointment is forgotten and all holidays are just a hand away. 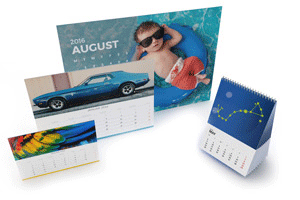 Simply original: The popular Picture Calendar or the practical Stripe Calendar are also popular promotional gifts. However, you have to put a lot of work into an original and appealing design, so that the calendar is really eye-catching and ends up on the customer's wall. 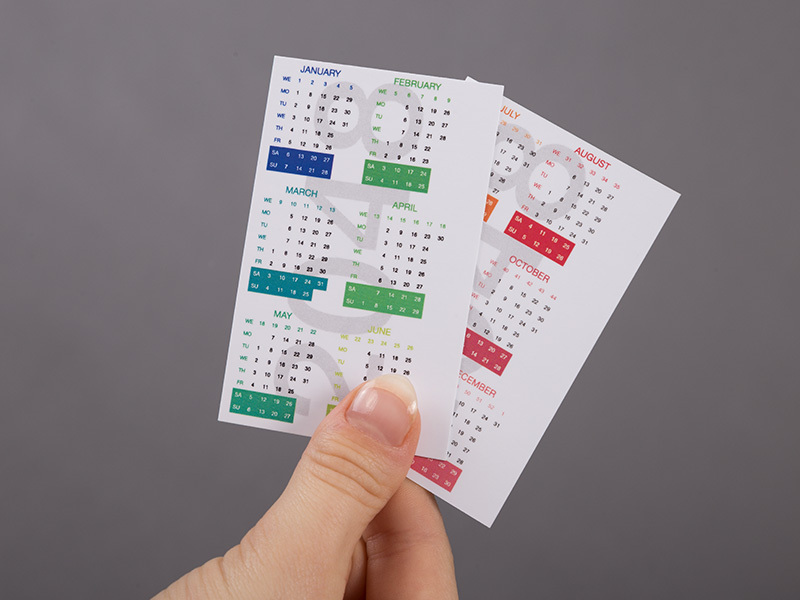 A pocket calendar is original due to its exciting miniature format - and that without a lot of work. Tailored to fit: The name says it all - this calendar matches the credid card, I. D., Business Cards and other cards in your wallet and fits right in. So chances are good that your advertising gift will end up right there. 365 Thoughts for you: Hardly any other promotional gift is so reliable that your customer thinks of you every day. Thanks to the practical format and the individual design options, you can add value that appeals to your target group - and thanks to our templates quickly designed. And besides, the customer has your company's logo and slogan in front of his eyes for a whole year to come! Inexpensive: You can experience all these advantages at a very favourable price. 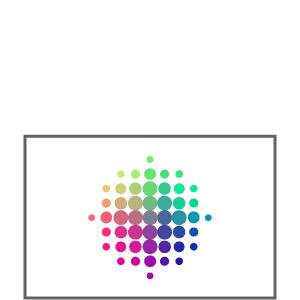 That means, with a print run of 250 pocket calendars, the 250 recipients think of you 365 times a year: that is 91,250 thoughts of you at a reasonable price! We call this an unbeatable deal! 300g matt coated paper - no appointment will break down so quickly. 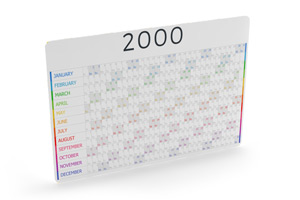 The quantity you order – 250, 500, 1000, 2500 or 5000 – determines whether we produce your calendars on a digital or offset press. In both cases, you get them in top quality: printed in full, brilliant colour on both sides with excellent definition. Our easily personalised templates let you design your pocket calendars with just a few clicks of the mouse. While meeting all of the requirements for first-class printing of your calendars in 8.5 x 5.5cm format. If you still need some inspiration for the design, have a look at our blog. We print and deliver your pocket calendars within 48 hours if you choose our SameDay service, within three working days with the Express option, and within five working days in the case of Standard orders. 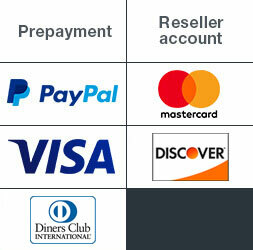 And, as is always the case with PrintCarrier.com, at no extra charge. The price you pay for the products automatically includes shipping. Our generous customer service ensures that you will be fully satisfied with us and our products. If the result should ever fall short of your expectations, as a first-time customer you receive a full refund. In all other cases, we will offer you a solution that is guaranteed to satisfy you.